Two Dease brothers worked on the west side side of the Rocky Mountains: Peter Warren Dease, and John Warren Dease. Peter is quite well known as an explorer; John not so much. Here is what Bruce McIntyre Watson, author of Lives Lived West of the Divide: A Biographical Dictionary of Fur Traders Working West of the Rockies, 1793-1858, has to say of John Warren Dease. Chief Trader, Fort Nez Perces, 1822-1825; Chief Trader in charge, Spokane House, 1825-26; Untraced vocation, Fort Colvile, 1826-1829. A brother of the arctic explorer, Peter Warren Dease, John Warren Dease entered the NWC at an unspecified date and from 1814-1821 was in charge of the post at Rainy Lake. He became Chief Trader in 1821 and, from 1822, was at a variety of posts in New Caledonia and the Columbia. In 1825-26, David Douglas [the botanist] found the Chief Trader to be extremely helpful. On February 22, 1829, while in the Fort Colvile area, he wrote his will, perhaps a foreshadowing of the severe illness which was to strike him in the summer of that year. 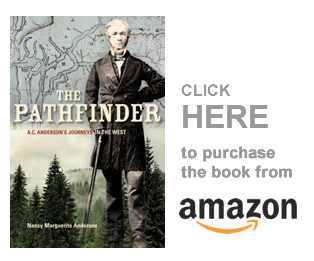 Around that time, he had an argument with [Chief Factor] John McLoughlin, the nature of which is obscure, but it was important enough that he had to travel to Fort Vancouver in a very ill state in the fall when he was unfit for duty. 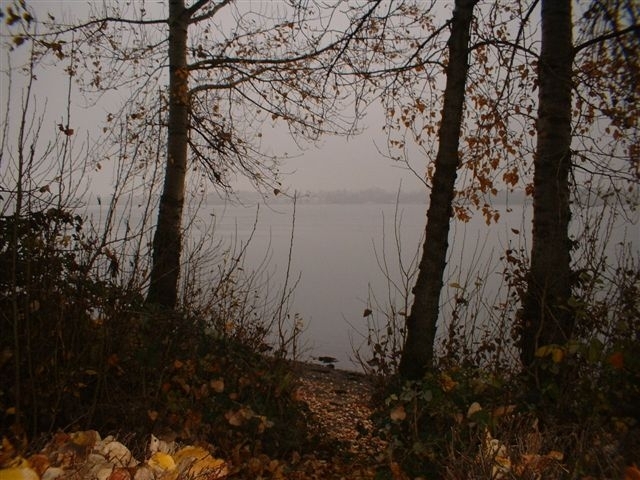 In the middle of that winter, while returning to Colvile, he died on January 11, 1830, at The Dalles and was transported back to and buried at the Fort Vancouver cemetery on January 14. In his will he gave John McLoughlin, who was a chastened, changed man, and John Dugald Cameron each 5 Pounds to purchase rings in memory, or mourning rings. He also stated that if widow Jenny Beignoit was to cohabit with anyone else, her money would go to her children. [Napolean Dease was his son. This young man worked for a while at Fort Hope where he got into some trouble — but that is another story]. John Warren Dease, in 1816 (or 1817) was clerk, North West Co., in charge of Rainy Lake House, when it was captured by Capt. D’Orsennons, under Lord Selkirk; probably a brother of Peter Warren Dease, the Arctic explorer. J. W. Dease signed the deed poll of 1821 as a Chief Trader, and the deed poll of 1834 as retired Chief Trader [this last is impossible, of course]. Ross says that, in 1823, “John Warren Dease, a chief trader of the new company, arrived from Ruperts Land.” Ross placed Dease in charge of fort Walla Walla [Fort Nez Perces]. So now we know which Dease brother greeted Governor George Simpson at Norway House in 1828. I don’t know for sure when John Warren Dease returned to the Columbia District. He apparently did not come in with the incoming 1828 express. I think he must have spent the winter at Edmonton House, and crossed the mountains to meet the outgoing express in early 1829, going down in the boats to Fort Colvile. He would have arrived in April or early May, 1829. The Edmonton House post journals will confirm this, if they exist for that year. 1829. Left Colvile, August 24th with three men for Vancouver and one Indian, being myself very unwell and going down for medical assistance. Left Fort in charge of Mr. [John] Work. 29th. Fort Nez Perces, Got here about two hours after sundown; found Messrs [Sam] Black, [Peter Skene] Ogden and [George] Barnston here. Mr. Ogden and party on their way to the Snake country and Mr. Barnston and Rivet going to Colvile. Sept. 5th. Fort Vancouver. Left Nez Perces on the 31st ultimo in a boat, four men including Borneuf who [illegible or omitted] below the Dalles and got here this night about 10 pm. Found here C.F. [John] McLoughlin, Messrs. [John Edward] Harriott, [James] Birnie, Dr. [Richard] Hamlyn, and [James] McDougall. Sept. 6th. Got my tent pitched here there being no house room, all the gentlemen being in lodges or tents. By this time James Birnie had left for The Dalles and was intending to build a house there, as the American competitor was not leaving the place. This story is told, briefly, in this post: http://nancymargueriteanderson.com/birnie-six/ John Warren Dease wrote a letter to James Birnie at The Dalles, and Chief Factor John McLoughlin heard of it and told Dease “that I had better not interfere about the posts….” So this letter was the cause of the huge blowup between McLoughlin and Dease. My notes say that McLoughlin was fighting with everyone at this time, and was apparently disliked by every trader or clerk that worked at Fort Vancouver. I might have to go back and get this story, but I know the files are offsite and it takes some arranging to get them delivered to the archives to read. If some one else wants the rest of the story, they can arrange that the archives get the files in (it takes about a week, I think), and they will probably be looking at them during a weekday, not a weekend. December 4th. Today I was informed by Mr. McDougall that C. Factor McLoughlin gave me leave to depart when I pleased. As a boat was going up to the Dalles with some things for Mr. Birnie I took the hint, prepared myself and embarked nigh sun down with the two young Spokane and Kootanais lads and old Bourdignet who I was told was the only person I could get to go on with. 13th. Dalles. Got here without anything extra happening. Found Mr Birnie and all well. Myself rather the worse because of the bad weather coming in. Friday 25th. Most all the Indians from above off, from whom Mr. Birnie obtained about 100 odd skins. Weather has been pretty fair; rained hard this evening. [Peter Warren Dease’s] brother, John Warren Dease, also an officer of the service, died at Fort Colvile on the Columbia River in 1830, and was buried in the Fort Vancouver cemetery, near the spot where the U.S. Garrison buildings were afterwards erected. He did not die at Fort Colvile, I have just discovered — or at least I don’t think so. A postscript in a letter from John McLoughlin to James Birnie at the Dalles, written December 20th 1829, says: “I am sorry to observe that Mr. Dease’s health is not so good as when he left this. Indeed I never thought it prudent for him to undertake the voyage at the season he did but it was his own wish to do so.” [Letters of Dr. John McLoughlin written at Fort Vancouver, 1829-1832, ed by Dr. Burt Brown Barker, Oregon Historical Society, 1948]. On the 14th inst Dr. [Richard J.] Hamlyn arrived with the corpse of poor Mr. Dease whose death I sincerely lament. On the 15th his remains were committed to the grave. Except for Anderson’s information which he apparently got from James Birnie, I would have thought he died at the Dalles, in Birnie’s post. I think he did, and Anderson’s information is incorrect. Whatever happened, I don’t think he got as far as Fort Colvile. He may have died at Fort Nez Perces, just up the river from the Dalles. This is a mystery ending — which is fine. We cannot know everything. But at least, if some descendant of John Warren Dease stumbles on this page, they will have a place to look for his grave. This is the fun part of writing this sort of history, and I will probably hear from someone about five minutes after I update this post. Copyright, Nancy Marguerite Anderson, 2016. Updated in October 2016. All rights reserved. Thank you so much for this! So much more detail for me to explore. I will definitely have to confirm his death date, which I have recorded as 11 Jan 1830 at The Dalles. Yes, he must have died in early 1831, as he could not have made it from The Dalles to Fort Colvile in less than five days — assuming this information is correct. What we have in BC archives is a copy of his Memorandum, which means there’s an original somewhere. You might want to look for it at HBCA. (Even a copy might be there). I am interested in trying to find descriptions of Indians fishing for salmon above Grand Coulee Dam in the Columbia, Sanpoil, Spokane,Colville, Kettle, Pend Oreille, and Kootenay rivers. In the Columbia main stem I’m interested in the area between Grand Coulee dam and the headwater lakes (Columbia and Windermere). I was wondering if you had come across any fur trapper descriptions that might not be a matter of public record. Yes, I have lots of information in fact, but I will contact you directly, and perhaps not immediately. Some of the information is buried, some of it is secret right now. Will be in touch. Thanks for getting back to me so quickly. I look forward to any information you can provide. I am using this information to write a document in support Indian tribes in the United States and British Columbia who are seeking to restore salmon above Grand Coulee Dam. My telephone number is (509) 359-6397. I can usually be reached at that number between 9AM and 2PM Monday – Friday. My great grandfather Alexander Caulfield Anderson was not only Chief Trader at Fort Colvile for two or more years, but he was later the Dominion of Canada’s Fisheries Minister for British Columbia, to 1884. I have all the reports he wrote to the Dominion Government, both on BC and some WA information too.